This apartment is located in a fully renovated historical building in the centre of Madrid, just 2 minutes away from the Glorieta de Quevedo. 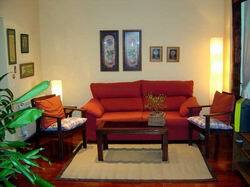 It has been newly furnished, in accordance with the historic feel of the area. 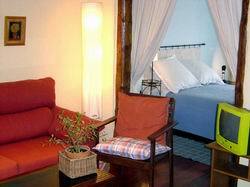 It can accommodate 2 to 6 people with a double bed, a sofa bed for 2 people and 2 single beds. 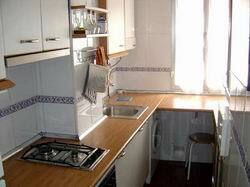 The kitchen is fully equipped with an oven, microwave, washing machine, fridge, plates, glasses, cutlery etc. 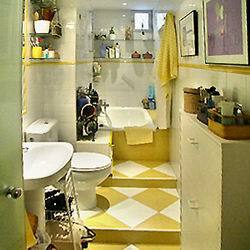 Bed linen and towels are provided and are changed once a week and when the flat is cleaned. In the lounge there is a CD player and a DVD player with a television. There is natural gas heating with a thermostat to regulate the temperature. The apartment is completely cleaned before your arrival. The main Glorieta de Quevedo square is within 2 minutes' walking distance. This area of Madrid's Chamberi district has many restaurants, coffee shops, boutiques and department stores, whilst maintaining a not too noisy environment. 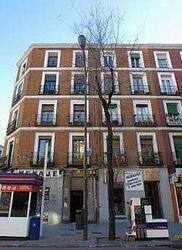 It is one of the most desirable locations in Madrid, close to the Paseo de la Castellana, and enjoys excellent transport links. 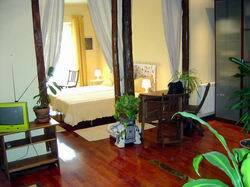 It is also just minutes away from the main tourist and cultural sights. Metro stations Quevedo (just 50 meters away), Iglesias and Canal are close by.